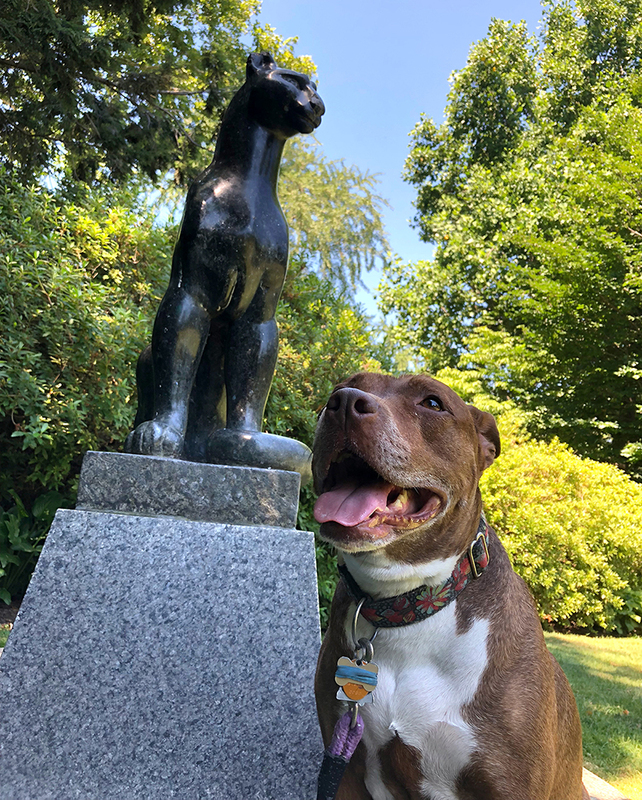 #ArtPup Tallie with William Zorach’s Puma in the Azalea Garden near the Philadelphia Museum of Art. Bring your pup for a public art stroll around the Philadelphia Museum of Art and along Kelly Drive! Presented as part of the Association for Public Art’s #ArtPup campaign, this outing will give owners and their dogs a closer look at some of Philly’s fantastic sculpture and its unique history. The tour will begin at Iroquois Park at 24th Street and Pennsylvania Avenue and end at the front steps of the Philadelphia Museum of Art. This event is FREE, but registration is required and space is limited. In his will of 1890 General William M. Reilly of the Pennsylvania National Guard established a trust fund for the purpose of creating monuments to Revolutionary War heroes.